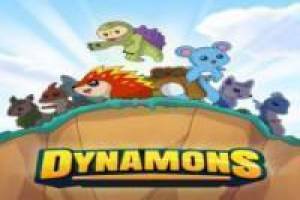 A new adventure is about to start with these new characters called Dynamons. 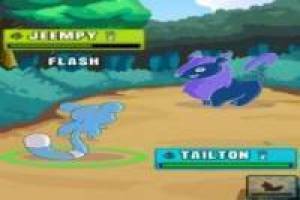 It is very similar to the Pokemon game in which little creatures are beaten in duels to see which is the strongest. In the first bout you will learn how to struggle in this game and then have the opportunity to choose the Dynamon with which you begin the adventure. In the following levels you can purchase new Dynamons for your team stronger and more complete. 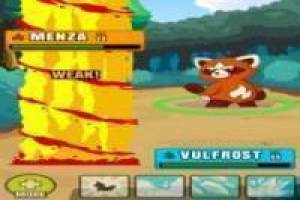 They will learn new movements with which to attack enemies as they level up. Train your creatures well and make your team in the best of all time. If you are tired of the characters always come and meet the new you'll find in this game. 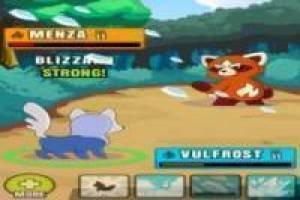 Enjoy the game Dynamons World, it's free, it's one of our digimon games we've selected.